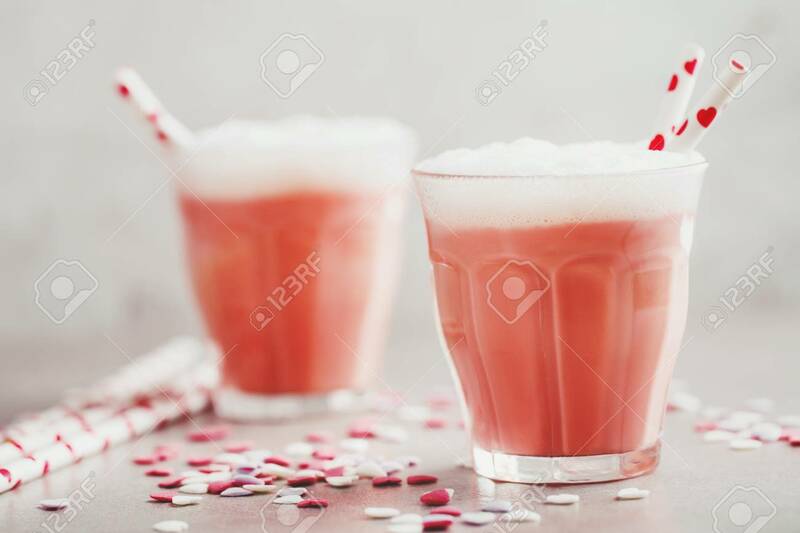 Tasty Valentines Day Drink Made From Milk Served In Glasses. Closeup. Horizontal. Lizenzfreie Fotos, Bilder Und Stock Fotografie. Image 114631459. Standard-Bild - Tasty valentines day drink made from milk served in glasses. Closeup. Horizontal. Tasty valentines day drink made from milk served in glasses. Closeup. Horizontal.